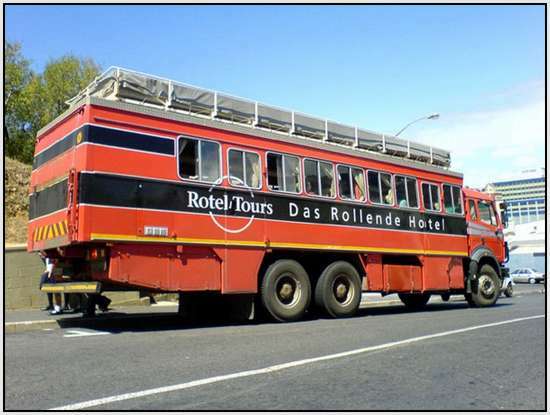 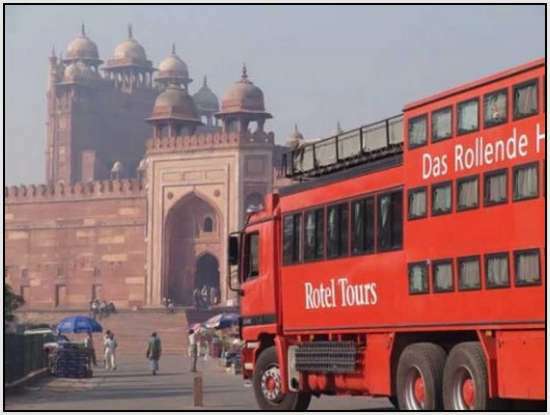 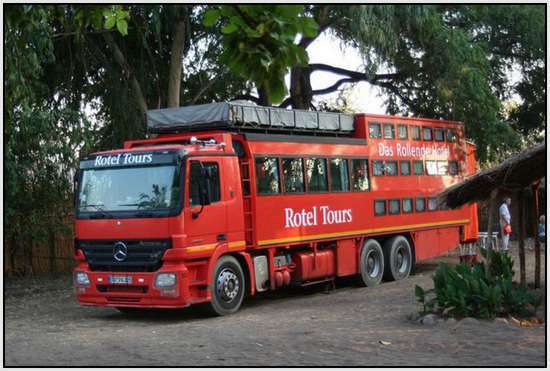 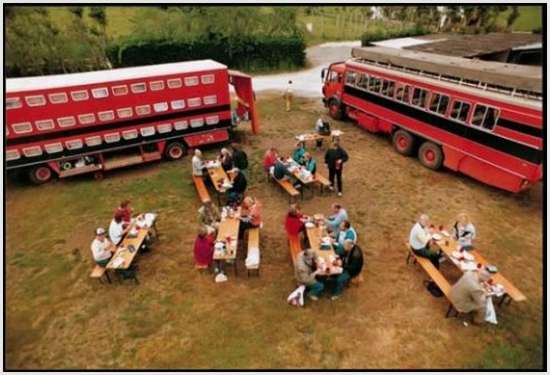 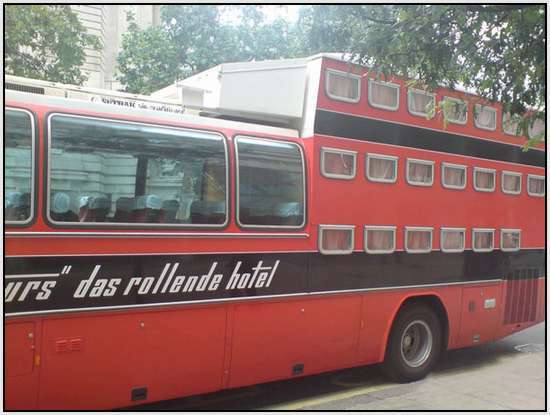 This custom-modified Mercedes 0404 is owned and operated by “Rotel“, which is an acronym for “Das Rollende Hotel” (“The Rolling Hotel”), a German tour company that offers budget tours all over the world in similarly equipped vehicles. 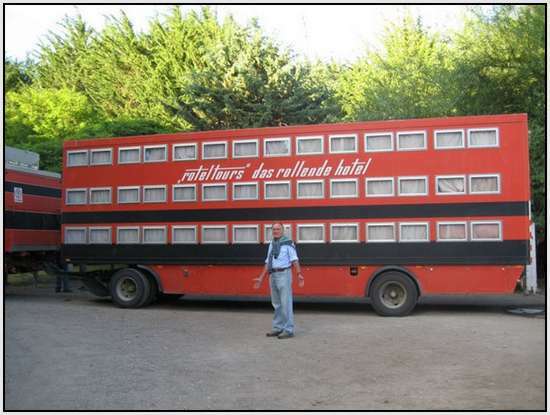 This coach has 24 passenger seats and 26 sleeping berths (the two extras are for the driver and the guide). 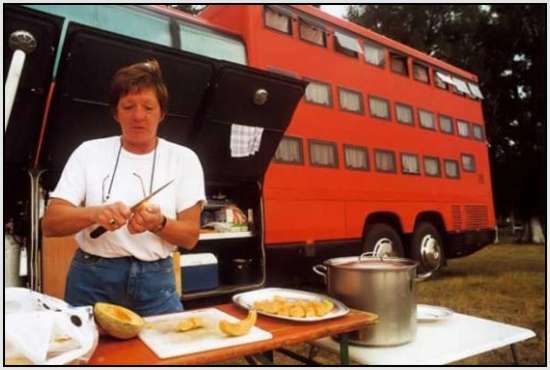 On the curb side across from the berths is an extensive drop-down “camp kitchen” set up. 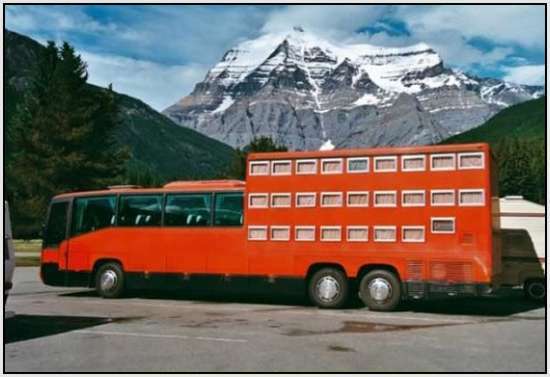 Travel has reached a new dimension with the bus coaches. 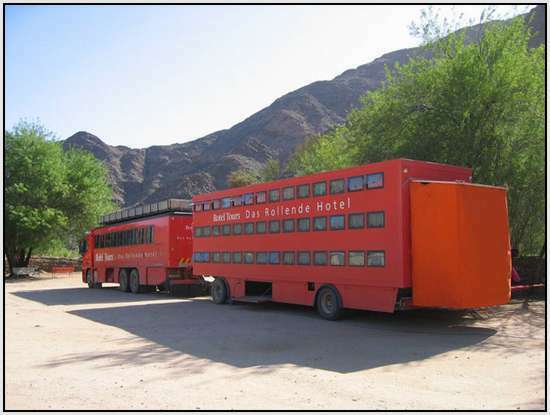 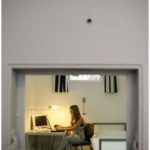 The bus/hotel offers a separate room for each passenger. 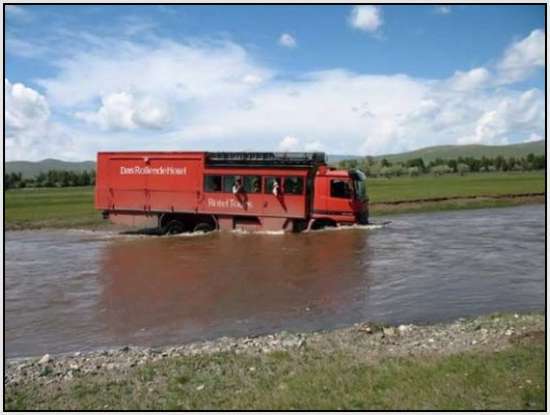 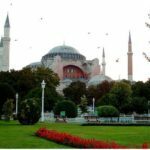 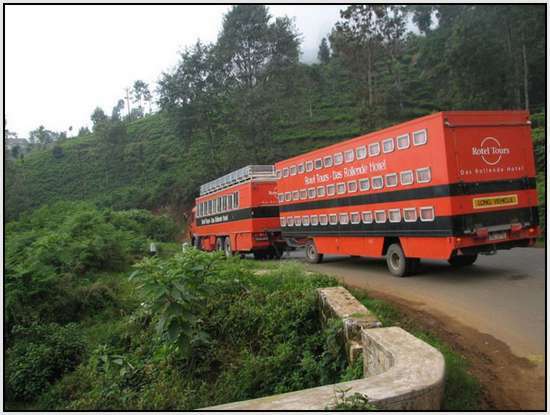 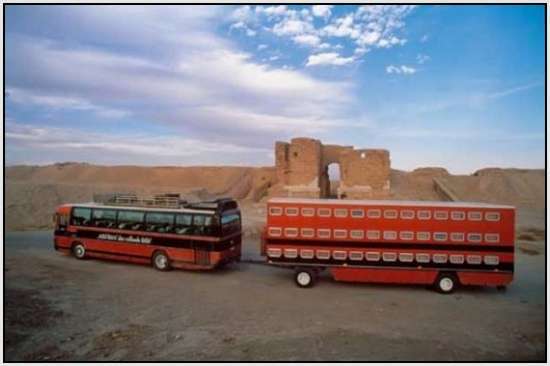 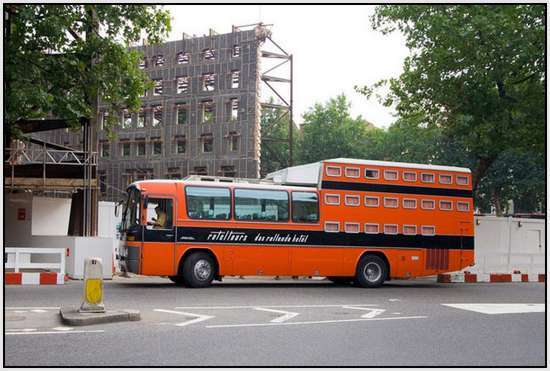 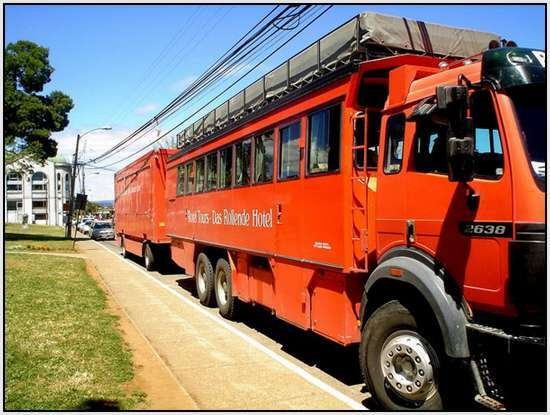 There are several buses, especially designed to tour certain parts of the world. 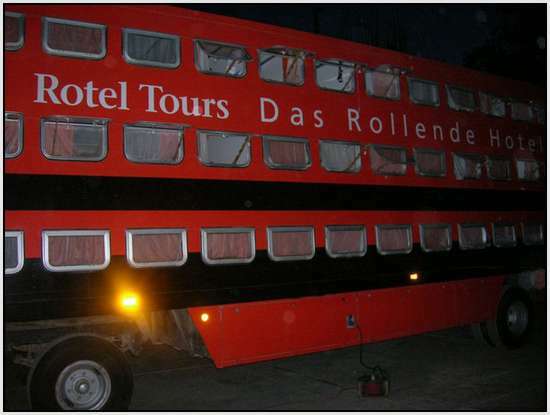 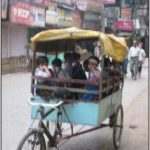 So if you want to travel in style, reserve your site on the Rolling Hotel and tour World in comfort!